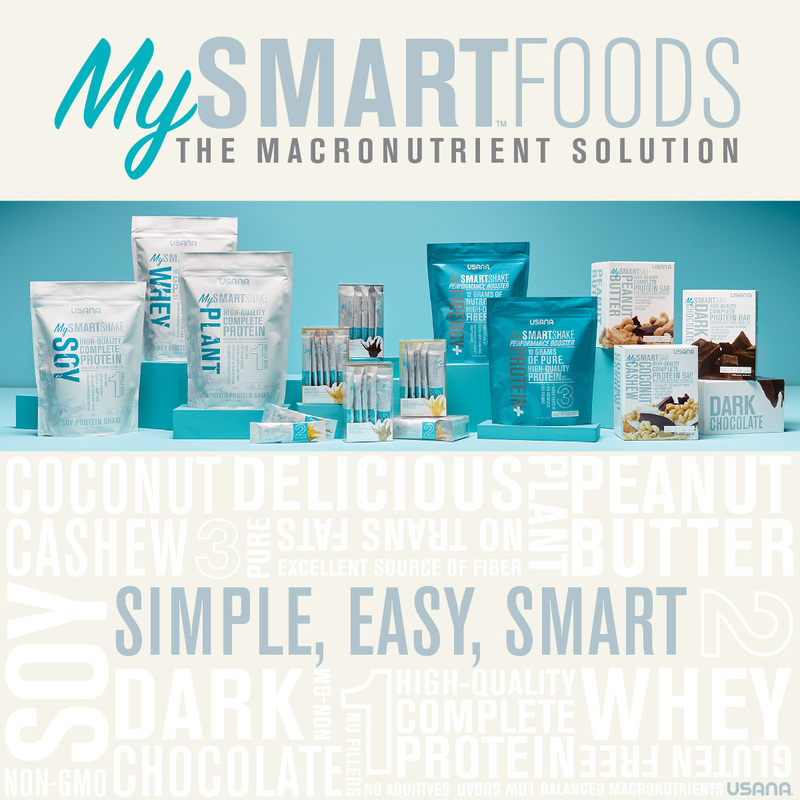 USANA announced August, 20, 2015 MySmartFoods. Exciting news. My, because it is a personalized system and as easy as 1-2-3. (smile). Dark chocolate, Peach-mango, Banana and Cappuccino. To this you can add your favourite veges or fruit. Dark chocolate, Peanut Butter, Coconut cashew. I tried a shake this morning and extra protein with cappuccino flavour...YUM! 28 g protein and low sugar. Then I went to the gym an did BODYPUMP...a weight class, a very strenuous workout. My energy during the class was high,my blood sugar felt stable and I had great focus. Normally after that I would have been feeling hungry. In fact, I didn't feel hungry until 1pm...5 hours after my morning shake. Awesome! I followed up in the afternoon with a MySmartBar, again I did not feel hungry for longer than usual. One of the secrets is coconut oil. What's your unique lifestyle? What combination would you choose? Everyone is an individual, has different needs, goals and are at various stages of their life. 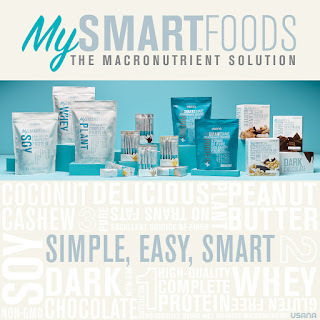 With MySmartFoods you can customize them to fit in with your life. What are your unique needs?